Clayton has a lengthy resume, spanning numerous seasons in both playing and coaching roles. He played seven years of community football with the Hilltoppers in Calgary where he was named to the 2004 Calgary Summer Games team and was a 2006 Midget all star. Clayton played three years of high school ball for the Diefenbaker Chiefs. After graduation he played for two years with the UofC Dinos, followed by three seasons as starting Quarterback with the Calgary Colts where he was named PFC rookie QB of the year. 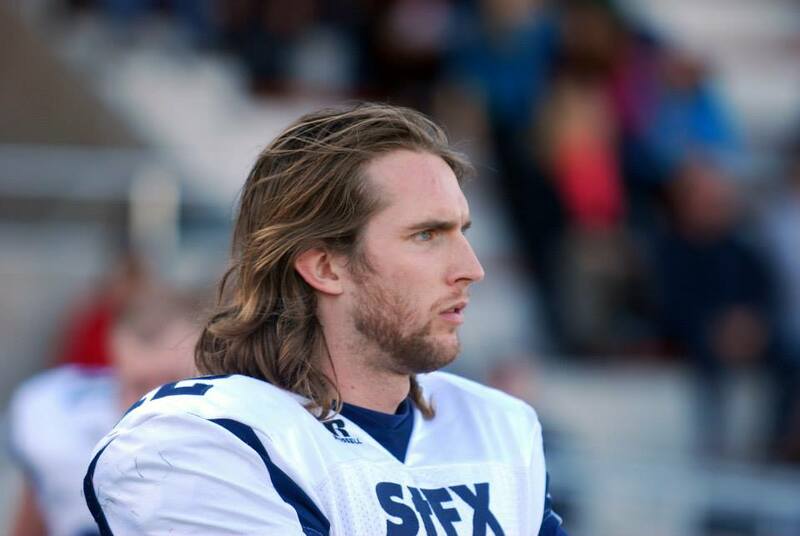 He then moved to Antigonish Nova Scotia and started both seasons (again at Quarterback) for the StFX Xmen for final two years of eligibility. In 2008, while playing with the UofC Dinos, Clayton began coaching with the Hilltoppers and the Notre Dame Pride. During his tenure the Hilltoppers QB’s, the team won two Midget City Championships. During his time with the Pride, the team recorded two high school Division 1 Championships. Upon conclusion of his playing career at SfFX, Clayton began coaching Receivers. He is currently heading into his second season as the lead Receivers coach for the Xmen.